Janine Simms is an agent with the CIA. A veteran of over 15 years of service to the Agency, Simms has had to deal with terrorists, gangsters, politicians, and a glass ceiling. Through it all she has earned the recognition and respect of most of those with whom she had worked. It is the remaining fellow-agents who have not seen just how good she is that foolishly think she would be better handing out cups of coffee at meetings than hard knocks out in the field. Understandably irked by the often Neanderthal attitude, she responds in a refreshingly mature, albeit annoyed manner. She does not work necessarily harder to prove herself again and again. She just makes sure she does her job. A daughter of a French mother and American father, she was raised mostly in the States and attended Harvard to earn a law degree. She also spent some fondly remembered time studying at the Sorbonne. She knows and loves Paris well and returns there often, going so far as to buy a place to live. Her job takes her away often, though. Simms is a danger to her adversaries both close-up where her black belt in judo comes in well and at a distance with her incredible marksman ability. In addition to being, as one who knows her commented, “tough as they come”, certainly anything but fragile, she also possesses a razor-sharp mind. Throw in an ability to speak French, German, and Arabic natively and you have a very valuable agent, even if many of her colleagues cannot see it. She is described as being slim and 'unusually' elegant. Most men who meet her agree she has a great beauty enhanced with silver-blonde hair against pale skin. Her eyes are referred to as gray at one point and amber at another. Europe and North Africa is the area she plies her cloak and dagger work. Her memories of Tunisia and Algeria are interesting in that while there she met people she would always think kindly of, she also came close to dying several times and had to end the lives of a few along the way. The first book in the four-book series is really about someone other than Janine Simms. A businessman who has done a good amount of deals in North Africa, Rick Harrison, is the man that the resident agent in Paris needs for a 'little job'. The answer is 'no' until his son goes missing in that region and now he needs assistance. Part of that aid comes in the form of Simms, who appears here and there taking care of her own mission but helping out from time to time. Her role is very important but Harrison is without a doubt the protagonist. In the second book, Simms plays a larger role playing a bodyguard role but even in this one she shares the starring role rather than owns it outright. The third and fourth books are definitely hers to own, even when in the fourth Rick Harrison returns for an encore. Simms is the star and deserves to be. An ex-CIA operative is asked by an old contact to check out a plan to smuggle poison gas into African nations whose leaders are not afraid to use them. At the same time, he must find his missing teenage son. Both tasks take him to Tunisia. Helping him is the tough CIA agent, Janine Simms. 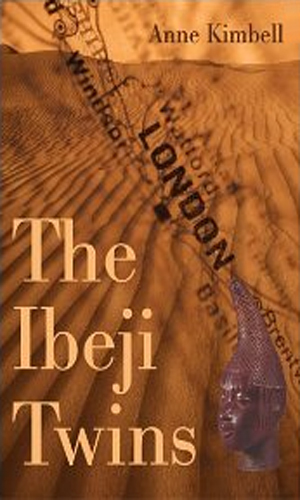 When her boyfriend disappears, a beautiful art historian follows the trail to Africa where she lands in the middle of a global crime ring specializing in stolen African art. Janine Simms watches over her and the diplomat who agrees to help. 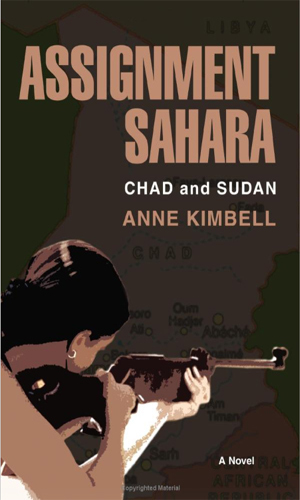 Using a food-relief mission to the Sudan as a cover, Janine Simms undertakes an assignment to find the missing daughter of a prominent U.S. Senator in the land where white slavery is a way of life. Janine Simms has two assignments that just might be related. The first is for her to uncover the identity of a small band of Al Queda members and the second is to locate a missing Saudi princess. The four Simms adventures were printed in trade paperback format only, indicating to me a very limited audience. This is absolutely a terrible shame. 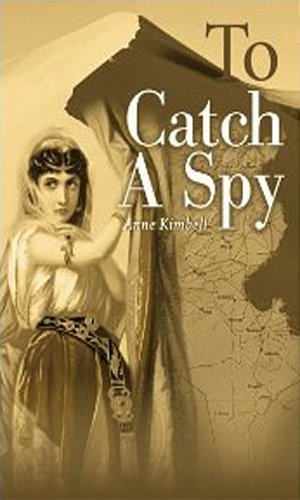 There are far too few spy stories written from a female perspective in which the agent is highly competent, very interesting, and neither over-sexed nor border psychotic. 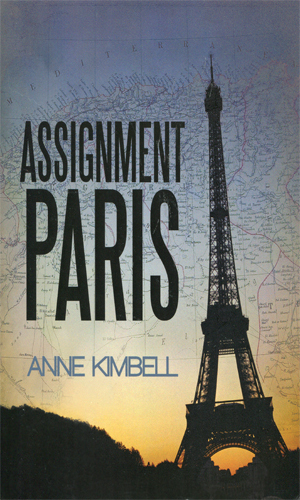 The author, Anne Kimbell, presents an agent that I really enjoyed reading about and was pleased to have at least four thrilling missions to peruse. I surmised that perhaps she was initially a supporting role that got expanded as the author got to like her more and more, just as this reader did. I could be totally wrong there, of course. What I do not think I am wrong about is how intelligently and skillfully the stories are crafted. They read very quickly and smoothly and are blissfully not bloated as so many modern adventures are. The action keeps progressing and the reader goes along quite willingly. I do not know if there is a chance the author will see about re-releasing the books in the ebook market. I hope so. They deserve to be read.